Find out how we hold ourselves to the highest standards, embodied by our company values of Integrity, Commitment and Excellence. Integrity is key in all our business engagements. That’s why we meet the exacting requirements of ISO 9001 for our Quality Management System (QMS). ISO 9001 prescribes and ensures systematic control of all an organisation’s activities directed towards delivery of their product or service, ensuring their customer expectations and requirements are met. The internationally-recognised standard also mandates formal processes for continuous improvement for processes. 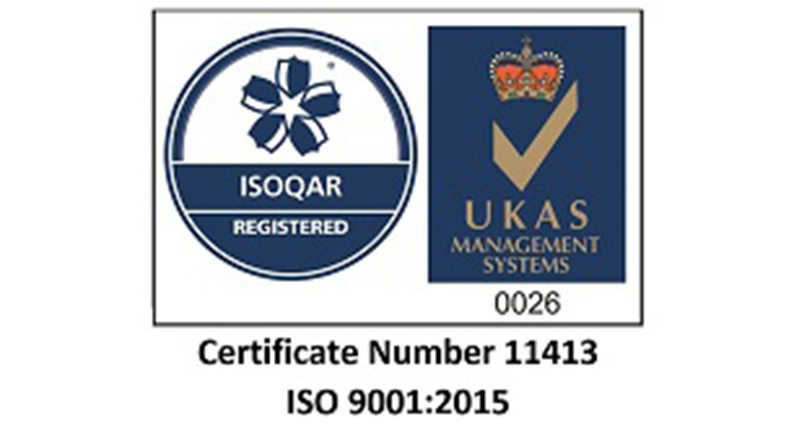 You can view our current ISO 9001 certificate here. Security is our business – we are 100% committed to security for ourselves, our employees, our clients and our stakeholders. We hold ourselves to the global standard for information security in an organisation – ISO 27001. This certification is proof of an existing robust Information Security Management System (ISMS), which has passed an assessment by a UKAS-accredited certification body, as well as risk management processes and appropriately rigorous controls to protect the confidentiality, integrity and availability of critical information assets. You can view our current ISO 27001 certificate here..
As a CHECK approved provider, our testing methodology has been assessed as meeting the very high standards of the National Cyber Security Centre (NCSC) and is approved to provide health check services to Her Majesty’s Government and the wider public sector. Commissum's admittance to the scheme is a testament to the high quality of Commissum’s processes, outputs and penetration testing staff. As a CREST (Council of Registered Ethical Security Testers) company, our testing methodology applies proven, consistent methods that build on industry standards, including the Open Source Security Testing Methodology Manual (OSSTMM), and the Open Web Application Security Project (OWASP). We strive for excellence in all we do; that’s why all our testers are accredited under the CREST scheme, meaning you’ll receive only the best and most thorough test of your organisation’s security, with minimum disruption and maximum value. Commissum can work with your organisation to establish a minimum baseline for cybersecurity under the Cyber Essentials scheme. Our consultancy offering, coupled with our CREST-certified services, means we’re ideally placed to asses and certify your organisation to either Cyber Essentials or Cyber Essentials Plus, as appropriate.